One of the other reasons I loved this story so much was the wide range of characters and the representations of many groups of people. You have a Chinese-American, an African-American, a Mexican-American, and many other diverse characters who have a voice. You also can see people who love music, who love singing, who love horses. I was really happy to see a female character at the end who said she didn’t want children (do you know how rare that is in fiction? it was nice to finally have a mirror in terms of that topic). 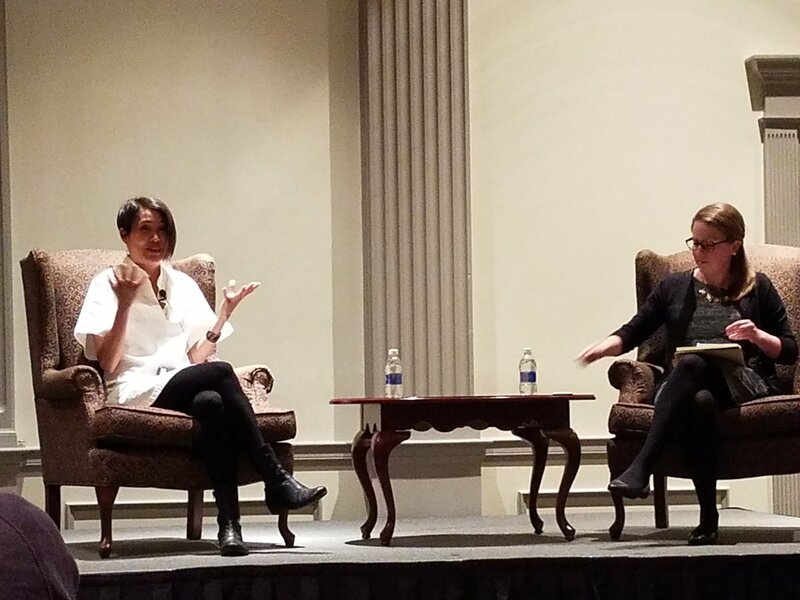 Anyway, when Stacey Lee spoke last night, it was delightful. She talked about the making of Under A Painted Sky, and also her other books (I purchased a copy of The Secret of A Heart Note, a story about a perfumer with synesthesia). She also spoke about the #WeNeedDiverseBooks movement, and how she has worked with that group, and the importance of representation in books. It reminded me of the TED talk I use in class by Grace Lin about Windows and Mirrors. Finally, I was excited to see Stacey Lee speak because one of my students won a writing contest and was able to meet her. This reminds me that we really need to encourage our students to submit work for publication and for contests. 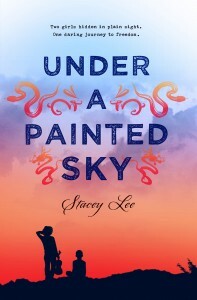 There is something really special when a young writer meets a published writer, and I was happy to witness that and see how enthusiastic and encouraging Stacey Lee was with my student. So, if you haven’t read her books, check them out! And if you have an opportunity to see an author speak near your town, you should consider attending. 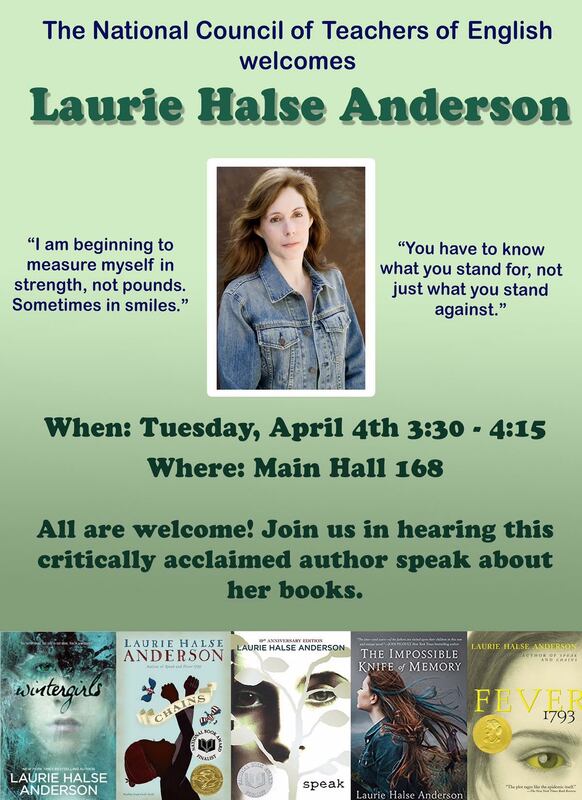 If you are in the West Chester, PA area this Tuesday, come and see Laurie Halse Anderson – metered parking available on High Street, Rosedale Avenue, and University Avenue. If you are unable to join us, Laurie is one of the Featured Speakers at PCTELA’s Annual Conference this October in Pittsburgh!